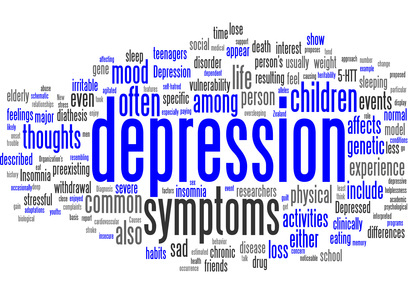 Are you or any of your friends struggling with symptoms of depression? Are you confused as to why you feel like you’ve fallen down into a big deep pit? Many teenagers find themselves in very low places and often wonder how they arrived there. The good news is for some more common mental illnesses like depression and anxiety, there are signs and symptoms that we can become aware of and look out for in ourselves and in others we care about. The key to recovery is developing awareness and becoming knowledgeable enough to be able to point out signs that don’t seem right—this can possibly prevent suffering and/or catch a problem before it gets worse. Psychiatry.org lists some signs that something might be up. The good news is that help is out there! Treatment options are countless! There is therapy, medication, crisis hotlines and so much more. If you or a loved one is suffering, don’t wait. It’s better to get the help you need now than to wait until you feel worse. Reaching out can be scary and daunting. It’s not an easy thing and takes much bravery. You might feel like no one will understand, but there are people who want to help you to make sure you are well taken care of. Talk to your parents or teachers and express how you feel. You’d be surprised! What symptoms do you recognize from your own experiences? What are the ones that make it hardest to ask for help? What are the ones that feel most embarrassing? How did you get past that embarrassment and try to find help? Tell us in the comments. Next story Is Depression Something You Can Control?